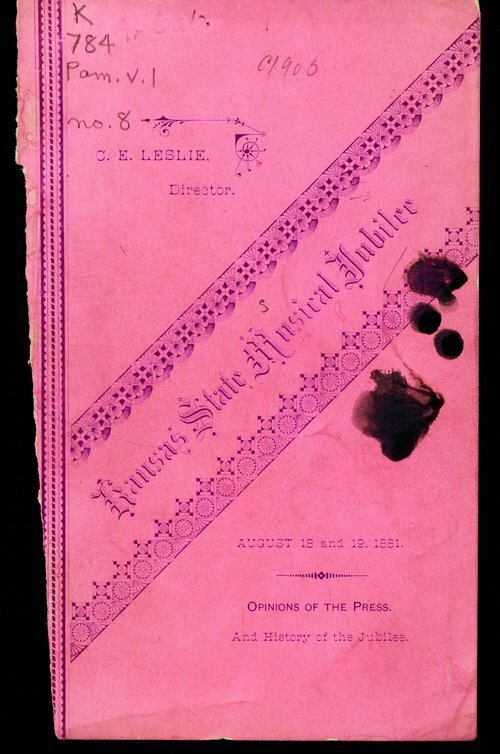 This Musical Jubilee was held at Bismarck Grove, near Lawrence, Kansas. It was under the direction of C. E. Leslie, who was assisted by a number of music teachers and professors. The performers and their selections for four "Grand" concerts are listed in the program. The pamphlet also includes a number of excerpts from Kansas newspapers about the event.